« Day 53.5 in Beijing: The First Installment Of My Interview By Bruce In Beijing. Beixinqiao Station. Just around the corner from the main street. 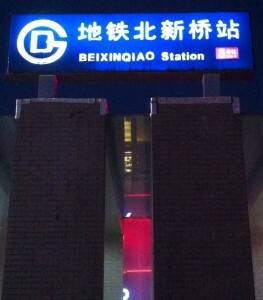 Beixinqiao Station. The stop where I get off to go salsa dancing and one of my favorite places to walk around and just people watch. The light between the brick walls is a restaurant on the other side of the entrance to the subway. 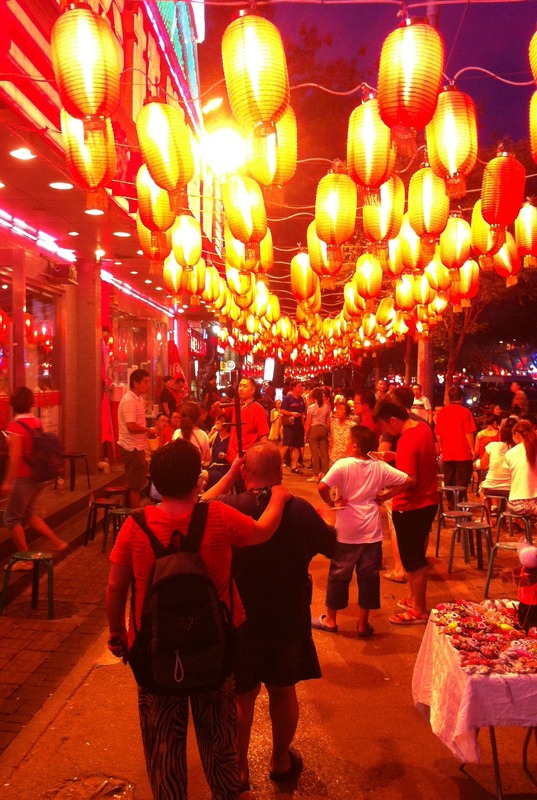 This is a major street loaded with Chinese Nationals and very few expatriates. Most are waiting for dinner and sitting outside on little stools until their names are called. People seem to wait for hours to get in. I just walk and enjoy the atmosphere. The minstrel is singing and playing his instrument. His wife is blind and following behind him. As I walked around the corner from the station, I heard a man singing and playing his instrument. His wife had her hand on his shoulder and was following him. She was blind and he was leading her around the street. This is a fairly common sight on subways as people that have disabilities will get on the subway and sing for donations. I am not sure if there is another way for people with disabilities to find work or be able to survive. I walked behind this couple for a few minutes and just let their song enter into me. 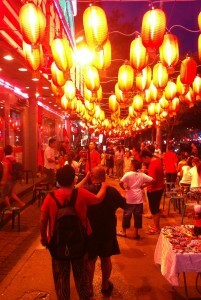 I also enjoyed the lanterns hanging down, the people talking and walking, and all the hustle and bustle of this street. Everything is alive. And just one block away is a classic Hutong where only Chinese nationals walk down and is quiet, calm and dark.